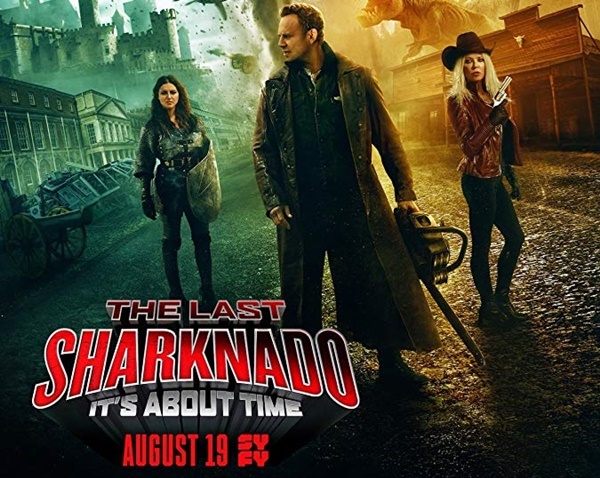 We attended the Los Angeles premiere for The Last Sharknado: It’s About Time where we caught up with the film’s actors, writers, producers and special guests. Watch our exclusive interviews below! Film synopsis: Fin has to go back in time to rejoin his shark-battling friends to stop the first Sharknado and save humanity. Cast: Ian Ziering, Tara Reid, Cassandra Scerbo, Judah Friedlander, Debra Wilson, Vivica A. Fox, Jonathan Bennett, Neil deGrasse Tyson, Alaska, Marina Sirtis, Leslie Jordan, Darrell Hammond, Ben Stein & more!